Tot Town is a traditional post and deck structure that meets standards set for both the 2-5 year old and 6-23 month age groups. Its whimsical roof provides shade, which ASTM recommends for play spaces for children 6-23 months. The roof will feature either a leaf pattern (natural color option) or a star pattern (playful color option). 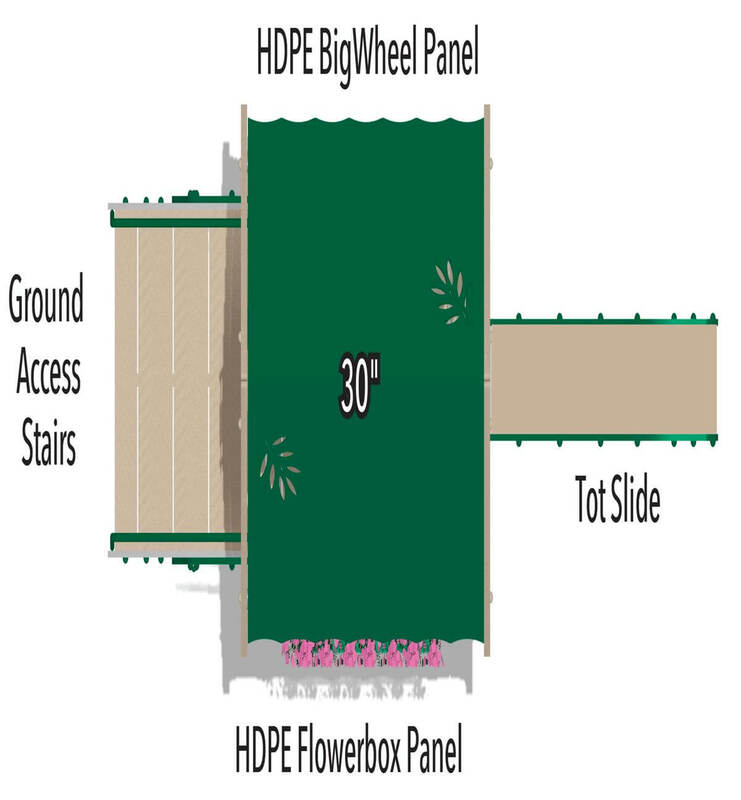 The structure features a Big Wheel Panel, Flowerbox Panel, Tot Slide and ground access stairs. Metal components, upright posts, stainless steel hardware, and rotomolded plastic components are backed by a 15 year warranty. HDPE panels are guaranteed by a 5 year warranty. Any movable plastic or metal components will be covered under a 2 year warranty. This structure is ADA accessible, and meets or exceeds all requirements from the American Society for Testing and Material (ASTM) and Consumer Product Safety Commission (CPSC). Upgrade your park or playground with more than just a play structure. 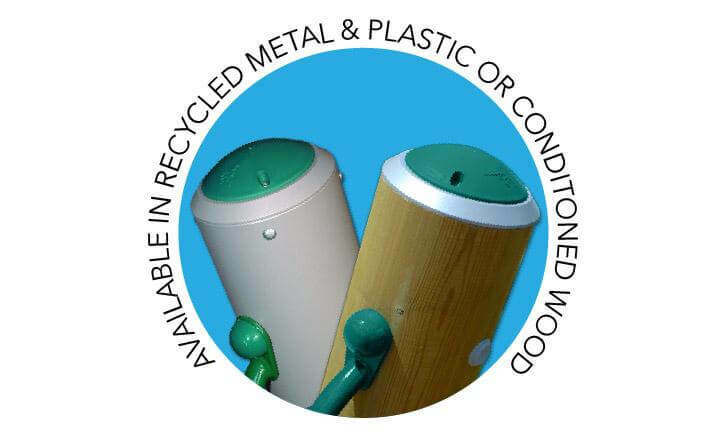 We have many site furnishing options for benches, tables, waste receptacles, and more. Need to provide some relief from the sun because you’re low on natural shade? Choose from any of our fabric shade structures, or provide pavilion style comfort with a steel shelter. We can customize any of these products to match your community or organization’s color palette. 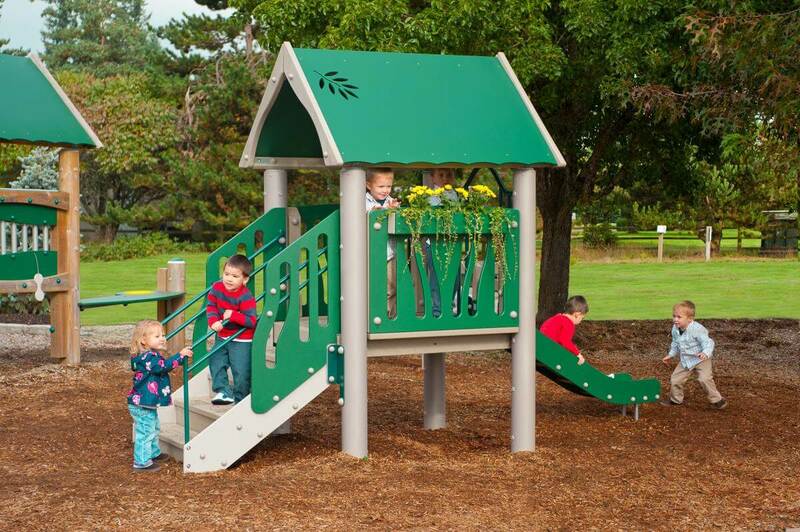 Adventure Playground Systems is an industry leader in quality commercial playground structures, park furnishings, installation services, shade structures and more. 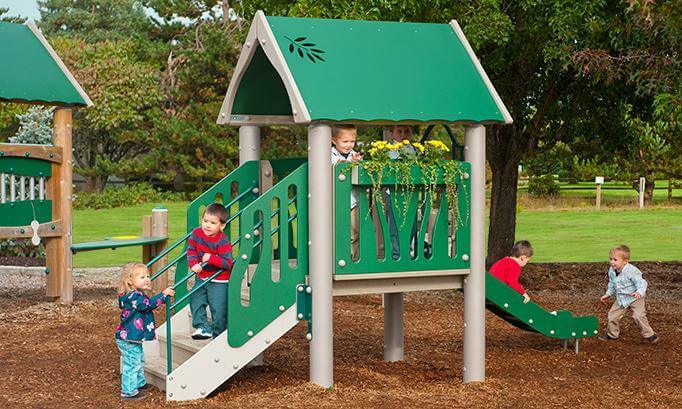 Our team of playground experts will help you select your ideal structure at a great price. Call us at 1.888.935.2112 for more information.